Full reservoirs in the Arkansas River basin point to the need for even more storage when dry years return, the Southeastern Colorado Water Conservancy District learned Thursday. The storage situation may not be entirely settled, because heavy rain in May could mean some water safely stored may be released. 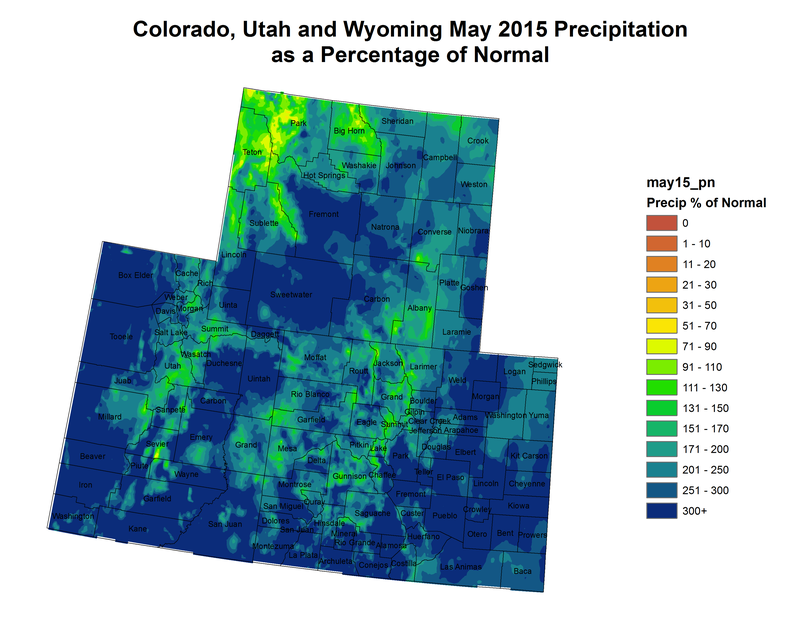 “Unless we have another Miracle May, we’ll be all right,” said Phil Reynolds, of the Colorado Division of Water Resources. To get to “all right,” however, water users have cooperatively released water from Lake Pueblo to meet flood control requirements. Capacity in Lake Pueblo was decreased by 11,000 acre-feet, to a total of 245,000 acre-feet, this year because of sedimentation. Space for 93,000 acre-feet is reserved for flood control after April 15. That was complicated this year because of high residual storage from 2015. Aurora, whose water would be first to spill, leased its stored water to farmers last year. The Pueblo Board of Water Works used early leases to move some of its water out of storage, but still has higher than usual levels in reserve. The Lower Arkansas Valley Water Conservancy District moved about 1,500 acre-feet into the permanent pool at John Martin. 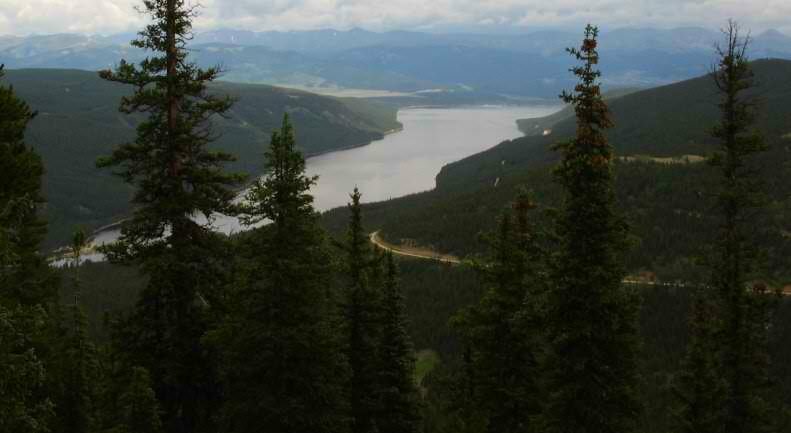 Colorado Parks and Wildlife moved 5,000 acre-feet of water it leased into Trinidad Reservoir. But the valley may be running out of places to store water. PSOP, which developed in the late 1990s, was abandoned by the district after multiparty negotiations broke down in 2007, but certain elements moved ahead. One of those was how excess capacity in Lake Pueblo could be better used. Right now, there are about 27,000 acre-feet of water in the so-called if-and-when accounts that might be vulnerable to spills. Another 57,000 acre-feet of winter water likely would not spill this year, unless more water than expected is collected through the Fryingpan-Arkansas Project. About 65,000 acrefeet of Fry-Ark water is expected to be brought into Turquoise Lake through the Boustead Tunnel, if conditions remain average, said Roy Vaughan, manager of the project for the Bureau of Reclamation. “But that’s a moving target,” Vaughan said. Nearly 20 years ago, Alan Hamel was fretting about the need for more water storage in the Arkansas Valley. He’s still on the case. At the time, Hamel was president of the Southeastern Colorado Water Conservancy District, which had come up with the Preferred Storage Options Plan. The plan proved unworkable because of disagreement among water users over the future purposes of storage. 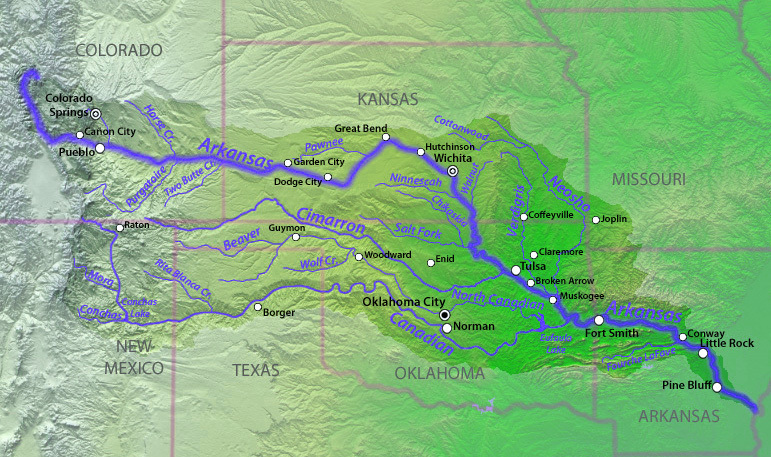 Today, the need for storage in the Arkansas River basin is closer to 100,000 acre-feet, and most likely will be found in smaller projects, repairs that remove restrictions, better use of existing structures and aquifer storage, Hamel said. The retired executive director of Pueblo Water is now a member of the Colorado Water Conservation Board, which in November approved Colorado’s Water Plan. The plan was ordered up by Gov. John Hickenlooper in 2013 and developed after hundreds of meetings throughout the state. It built on the 2004 Statewide Water Supply Initiative, which identified a municipal gap in future supply, and the 2005 creation of the Interbasin Compact Committee and Basin Roundtables. Those activities drew thousands of Coloradans into a conversation about water. Hamel credited the Lower Ark district, itself created by voters during the drought of 2002, and its General Manager Jay Winner as constant advocates for protection of Arkansas River water. “I see Jay in every corner of the state,” Hamel said. But the Lower Ark board is not entirely convinced the state water plan does enough to protect agriculture. “As long as growth is the highest and best use for water, you can’t see any way ag can sustain itself, can you?” asked Beulah rancher Reeves Brown, a Lower Ark board member. 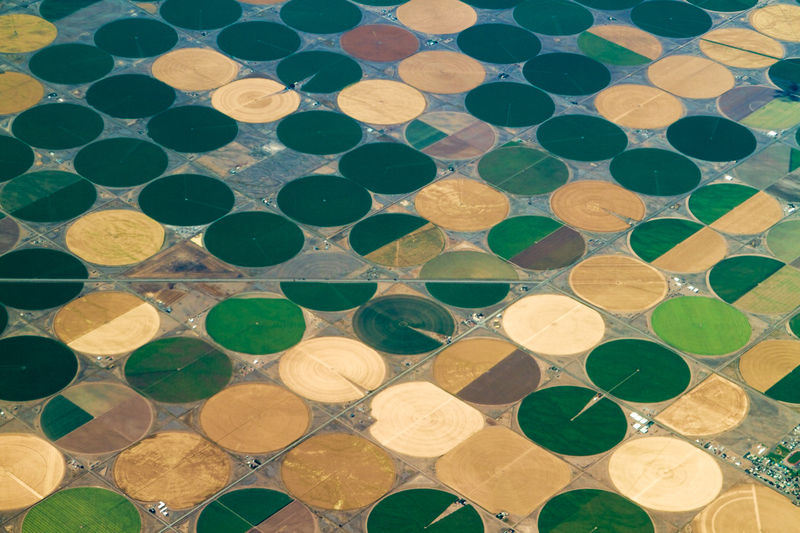 Without a plan, Colorado stands to lose 700,000 acres of farmland, Hamel replied. He commended the Lower Ark board for pioneering solutions like the Arkansas Valley Super Ditch to find ways water without permanent dry-ups. Two water court applications, filed in 2000, claiming storage rights in Lake Pueblo and Turquoise Lake are being pulled because federal legislation has stalled. “Because we don’t have the federal legislation on (dam) enlargement, we wouldn’t be able to meet the can­andwill provisions of state law,” said Jim Broderick, executive director of the Southeastern Colorado Water Conservancy District. The district filed for the storage rights after its Preferred Storage Options Plan was completed. The plan identified enlargement of Lake Pueblo and Turquoise Lake as the best ways to increase storage in the Arkansas River basin. But after 12 years, PSOP looks increasingly unlikely. The district sought federal legislation to study enlargement of the reservoirs, which were built as part of the Fryingpan­Arkansas Project, but hit its first snag when it opposed Aurora’s inclusion in storage plans. A revised version of PSOP included Aurora, which made certain concessions to the Southeastern district in 2003. 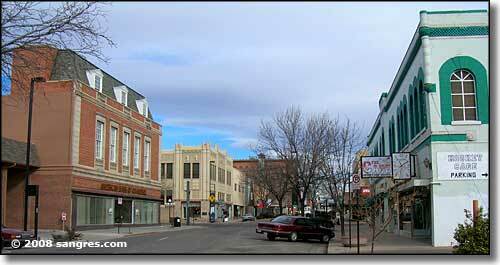 New agreements were reached with the city of Pueblo in 2004 that would have allowed PSOP to progress. Ken Salazar, D­Colo., attempted to broker a settlement among 11 entities that would have allowed PSOP to progress in 2007, but those efforts failed when the Lower Ark sued the Bureau of Reclamation over its storage contract with Aurora. Since then, Aurora has dropped its insistence to be included in the legislation. Meanwhile, the “reoperations” of Lake Pueblo — another part of PSOP that defines how nonproject water is stored — have moved ahead through long­term excess capacity contracts for the Pueblo Board of Water Works, Aurora and the Southern Delivery System. 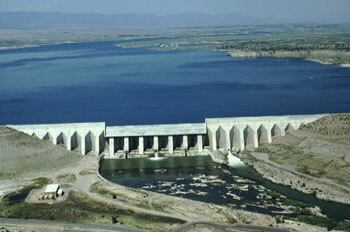 The Bureau of Reclamation also is considering a master contract sponsored by the Southeastern district. Southeastern continues to fund studies related to reservoir enlargement, with $132,000 included in next year’s proposed budget, to be adopted in December. More Preferred Storage Option Plan coverage here and here. The water board is pricing water service rates to new large users at the true cost of providing water — $16,200 per acre-foot. As it has developed the policy, staff members have worked behind the scenes with city staff and met with the Pueblo Economic Development Corp. to make sure the rates don’t scare off companies that could bring jobs to Pueblo, Hamel said. More Pueblo Board of Water Works coverage here. If the leasing program continues, it would require a change of use decree in Division 2 water court, a process some have called “the mother of all change cases.” That would be an expensive proposition for both sponsors and objectors, so the Arkansas Basin Roundtable, part of the IBCC process, has discussed ways to develop a common platform to look at engineering as Super Ditch grows. Smith said the plan, like Super Ditch, was developed as farmers worked together to find ways out of a dilemma. “I’m optimistic that the ag community can work together and be successful,” Smith said. More Arkansas Valley Super Ditch coverage here and here. “This allows us in the basin to concentrate on storage and move the PSOP process ahead,” said Alan Hamel, executive director of the Pueblo Board of Water Works. PSOP stands for the Preferred Storage Option Plan, developed by the Southeastern Colorado Water Conservancy district in the late 1990s, when Hamel was president of the Southeastern board. Aurora remained at the table during PSOP discussions through 2007, when talks organized by U.S. Sen. Ken Salazar broke off when the Lower Ark district sued the Bureau of Reclamation over an Aurora storage contract. In the newest agreement, reached as part of the conditions of a motion to dismiss a federal lawsuit, Aurora has dropped its claim to be included in PSOP legislation, while agreeing to support the 2001 PSOP implementation report. A joint motion filed by all parties in the case asks federal District Judge Philip Brimmer to dismiss the case with prejudice, meaning it cannot be reopened. Stipulations attached to the case require Aurora to abide by an intergovernmental agreement reached with the Lower Arkansas Valley Water Conservancy District in 2009. The agreement also reinforces past agreements Aurora has made to limit the amount of water it can move from the valley and defines the service area in which water from the Arkansas River basin can be used. Aurora also has agreed to withdraw its claims from any future legislation to study the enlargement of Lake Pueblo. As part of the final IGA, Aurora agreed to withdraw its insistence for a clause allowing it to use the Fry-Ark Project in any legislation to enlarge Lake Pueblo. That has been a sticking point for 10 years, and was one reason for the 2003 agreement. Aurora will unconditionally support a federal study of the enlargement of Lake Pueblo. Aurora also has agreed to fully support projects backed by the Lower Ark District, including Fountain Creek improvements, the Arkansas Valley Super Ditch and the Arkansas Valley Conduit. The city will contribute $2 million over 10 years to such projects. It will also continue funding and support of water quality projects in the Arkansas River basin. The agreement also strengthens Aurora’s commitment to continue revegetation of farmland it dried up with the purchase of water from Crowley County. The PSOP bill primarily looks at a feasibility study for enlargement of Lake Pueblo and Turquoise Lake, which is located near Leadville. It is inextricably tied to a series of intergovernmental agreements and further discussions that were conducted by former U.S. Sen. Ken Salazar that broke down in 2007 when the Lower Ark filed its lawsuit. More Fryingpan-Arkansas Project coverage here and here. More Preferred Options Storage Plan coverage here and here.